saccharin (SAK-uh-rin): a dietary sweetener with no calories and no nutritional value. saturated fat: a type of dietary fat that can increase the risk of heart disease. Saturated fat is found in meat, poultry skin, butter, lard, shortening, and all milk and dairy products except fat-free versions. saxagliptin (SAX-uh-GLIP-tin): an oral medicine used to treat type 2 diabetes. Saxagliptin lowers blood glucose by helping the body make more insulin when it's needed. It also helps keep the liver from putting stored glucose into the blood. Saxagliptin belongs to the class of medicines called DPP-4 inhibitors. (Brand name: Onglyza.) For more information, see DPP-4 Inhibitors. secondary diabetes (SEK-uhn-DAIR-ee) (DY-uh-BEE-teez): a type of diabetes caused by another disease or certain drugs or chemicals. For example, destruction of the pancreas due to causes such as pancreatitis or surgical removal, will result in loss of beta cells and the patient will develop secondary diabetes. self-management: the ongoing process of managing diabetes. Includes meal planning, planned physical activity, blood glucose monitoring, taking diabetes medicines, handling episodes of illness and of low blood glucose and high blood glucose, managing diabetes when traveling, and more. The person with diabetes designs his or her own self-management treatment plan in consultation with a variety of health care professionals such as doctors, nurses, dietitians, pharmacists, and others. sharps container: a container for the disposal of used needles and syringes; often made of hard plastic so that needles cannot penetrate the container. short-acting insulin (short-AK-ting) (IN-suh-lin): a type of insulin with an onset of 30 to 60 minutes, a peak at 2 to 4 hours, and a duration of 5 to 8 hours. See regular insulin. sitagliptin phosphate (sih-tuh-GLIP-tin) (FOSS-fayt): an oral medicine used to treat type 2 diabetes. Sitagliptin lowers blood glucose by helping the body make more insulin when it's needed. It also helps keep the liver from putting stored glucose into the blood. Sitagliptin belongs to the class of medicines called DPP-4 inhibitors. (Brand name: Januvia.) For more information, see DPP-4 Inhibitors. Somogyi effect (soh-MOH-jee) (uh-FEKT): when the blood glucose level swings high following low blood glucose, or hypoglycemia. The Somogyi effect may follow an untreated hypoglycemic episode during the night and is caused by the release of stress hormones. Also called rebound hyperglycemia. sorbitol (SOR-bih-tol): 1. a sugar alcohol-a sweetener-with 4 calories per gram. 2. a substance produced by the body in people with diabetes that can cause damage to the eyes and nerves. Starlix (STAR-liks): Brand name of a diabetes medication; see nateglinide. For more information, see D-Phenylalanine Derivative. statin (STAT-inn): A class of medications used to lower high cholesterol levels. For more information, see What You Need To Know About High Blood Cholesterol and Study finds statins would cut heart attacks and strokes by a third in people with diabetes. stroke: a condition in which the blood supply to the brain is suddenly cut off, caused by a blockage or the bursting of a blood vessel in the brain or neck. Then brain tissue can be damaged. A stroke can cause a person to lose the ability to speak or move parts of the body. subcutaneous injection (SUHB-kyoo-TAY-nee-uhss) (in-JEK-shuhn): putting a fluid into the tissue under the skin with a needle and syringe. sucralose (SOO-kruh-LOHSS): a dietary sweetener made from sugar but with no calories and no nutritional value. sugar alcohols: sweeteners that produce a smaller rise in blood glucose than other carbohydrates. Their calorie content is about 2 calories per gram. Includes erythritol, hydrogenated starch hydrolysates, isomalt, lactitol, maltitol, mannitol, sorbitol, and xylitol. Also known as polyols. sugar diabetes (SHU-gur) (DY-uh-BEE-teez): former term for diabetes mellitus. sulfonylurea (SUHL-foh-nil-yoo-REE-uh): a class of oral medicine for type 2 diabetes that lowers blood glucose by helping the pancreas make more insulin and by helping the body better use the insulin it makes. (Generic names/Brand names: chlorpropamide/Diabinese; glimepiride/Amaryl; glipizide/Glucotrol, Glucotrol XL; glyburide/DiaBeta, Glynase PresTab, Micronase; tolazamide [generic only]; tolbutamide [generic only].) For more information, see Sulfonylureas. Sunett (SOO-net): Brand name for acesulfame potassium. support group: A group of people who share a similar problem or concern. The people in the group help one another by sharing experiences, knowledge, and information. Symlin (SIM-lin): Brand name for pramlintide acetate. systolic pressure (siss-TOL-ik) (PRESH-ur): the blood pressure when the heart pushes blood out into the arteries. target range: Personalized values for blood glucose levels that a patient together with their healthcare provider establish as reasonable to aim for; these targets are individualized for specific medical conditions. Blood glucose targets should be in a range that would prevent life-threatening diabetes complications such as diabetic ketoacidosis, but also keep the patient safe from severe hypoglycemia. For more information, see A good number. team management: a diabetes treatment approach in which medical care is provided by a team of health care professionals including a doctor, a dietitian, a nurse, a diabetes educator, and others. The team provides information and advises the person with diabetes. thiazolidinedione (THY-uh-ZOHL-ih-deen-DY-ohn): a class of oral medicine for type 2 diabetes that helps insulin take glucose from the blood into the cells for energy by making cells more sensitive to insulin. (Generic names/Brand names: pioglitazone/Actos; rosiglitazone/Avandia.) For more information, see Thiazolidinediones. TIA (TEE-EYE-AY): see transient ischemic attack. tinea pedis (TIN-ee-uh) (PEE-diss): see athlete's foot. TNDM: see transient neonatal diabetes mellitus. Trajenta (Traj-EN-tuh): Brand name of a diabetes medication, linagliptin. See DPP-4 Inhibitors. trans fat: a type of dietary fat that increases the risk of heart disease. Trans fat is produced when liquid oils are turned into solids through a process called hydrogenation. Foods with trans fat include those listing hydrogenated or partially hydrogenated fat on the label, such as crackers, snack foods, commercially produced baked goods, and some stick margarines. transient ischemic attack (TIA) (TRANZ-see-uhnt) (iss-KEE-mik) (uh-TAK): a condition in which blood flow to the brain is temporarily blocked. TIAs can cause temporary weakness or numbness, sudden confusion, dizziness, vision problems, or severe headache. transient neonatal diabetes mellitus (TNDM) (TRANZ-see-uhnt) (NEE-oh-NAY-tuhl) (DY-uh-BEE-teez) (MEH-luh-tuhss): a rare, monogenic form of diabetes that occurs in the first 6 months of life. TNDM disappears during infancy but can reappear later in life. transplant (TRANZ-plant): replacement of a damaged or diseased organ with a healthy one. triglyceride (try-GLISS-ur-eyed): the storage form of fat in the body. High triglyceride levels may occur when diabetes is out of control. type 1 diabetes (typ) (whuhn) (DY-uh-BEE-teez): a condition characterized by high blood glucose levels caused by a total lack of insulin. Occurs when the body's immune system attacks the insulin-producing beta cells in the pancreas and destroys them. The pancreas then produces little or no insulin. Type 1 diabetes develops most often in young people but can appear in adults. For more information, see Type 1 diabetes. type 2 diabetes (typ) (too) (DY-uh-BEE-teez): a condition characterized by high blood glucose levels caused by either a lack of insulin or the body's inability to use insulin efficiently. Type 2 diabetes develops most often in middle-aged and older adults but can appear in children, teens, and young people. For more information, see Type 2 diabetes. type 3 diabetes (typ) (three) (DY-uh-BEE-teez): A person who cares for an individual with diabetes. Examples: family member, close friend. type I diabetes (typ) (whuhn) (DY-uh-BEE-teez): former term for type 1 diabetes. type II diabetes (typ) (too) (DY-uh-BEE-teez): former term for type 2 diabetes. U-100 (YOO-whuhn-HUHN-dred): see unit of insulin. ulcer (UHL-sur): a deep, open sore or break in the skin. United Kingdom Prospective Diabetes Study (UKPDS) (yoo-NY-ted) (KING-duhm) (pruh-SPEK-tiv) (STUHD-ee): a British study conducted from 1977 to 1997 in people with type 2 diabetes. The study showed that if people lowered their blood glucose, they lowered their risk of eye disease and kidney damage. In addition, those with type 2 diabetes and hypertension who lowered their blood pressure also reduced their risk of stroke, eye damage, and death from long-term complications. unit of insulin (YOO-nit) (uhv) (IN-suh-lin): the basic measure of insulin. 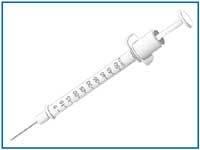 U-100 insulin means 100 units of insulin per milliliter (mL) or cubic centimeter (cc) of solution. Most insulin made today in the United States is U-100. uremia (yoo-REE-mee-uh): the illness associated with the buildup of urea in the blood because the kidneys are not working effectively. Symptoms include nausea, vomiting, loss of appetite, weakness, and mental confusion. urinalysis (YOOR-ih-NAL-ih-siss): a test of a urine sample that can reveal many problems of the urinary tract and other body systems. The sample may be observed for color, cloudiness, concentration; signs of drug use; chemical composition, including glucose; the presence of protein, blood cells, or germs; or other signs of disease. urine (YOOR-in): liquid waste product filtered from the blood by the kidneys, stored in the bladder, and expelled from the body by the act of urinating. urologist (yoo-ROL-uh-jist): a doctor who treats people who have urinary tract problems. A urologist also cares for men who have problems with their genital organs, such as erectile dysfunction. yeast infection: a jargon phrase used to describe a vulvovaginal infection usually caused by a fungus. Women who have this infection may feel itching, burning when urinating, and pain, and some women have a vaginal discharge. Yeast infections can occur more frequently in women with uncontrolled diabetes.